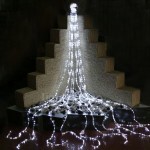 Add that WOW factor to holiday displays. 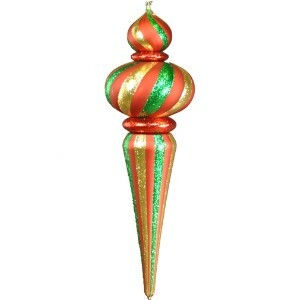 This 39" finial ornament encompasses your Christmas decor needs. In stunning red, green and gold the iconic colors bring holiday joy to all! Also this finial is K/D style, meaning that it can be collapsed into smaller sections making storage significantly more simple.